Once those primary teeth start coming in, the baby enters a phase known as teething, and it can be quite uncomfortable for the little one. Usually around 6 months is when moms will begin to notice this change, and finally when the child is about 3 years old, there will be a full set of 20 primary teeth; sprung-up like flowers from a garden. It can seem like a great miracle when all of this is happening, but it can quickly change to a nightmare when your child is experiencing the natural discomfort that is involved in the process. Due to the soreness and swelling, babies can become quite fussy at this time, just about 3 to 5 days before the incoming tooth reveals itself. 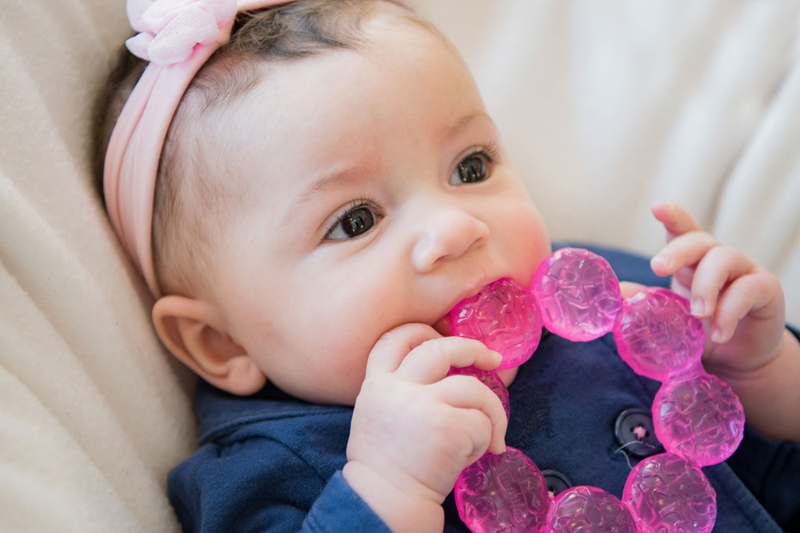 Although some babies aren’t effected at all by teething, a good number of them find it to be an unpleasant experience, and that’s why there are some good products out there that help to alleviate the discomfort and tears. These teething tablets offer a lot of relief for restless and irritable children who are cutting teeth. You simply dissolve the tablets under your child’s tongue up to 4 times a day, for a maximum of 7 days. It’s not uncommon for children to fall asleep after taking these tablets because they finally find the relief that they need. They’re incredibly effective, and because it’s only recommended that you use them for up to 7 days in a row, you should really have these in your arsenal for when the symptoms are at their worst. They’re designed to relieve the redness and irritation of the gums, and because they dissolve so quickly, your baby experiences relief almost instantaneously. They’re also 100% all natural and safe to use. 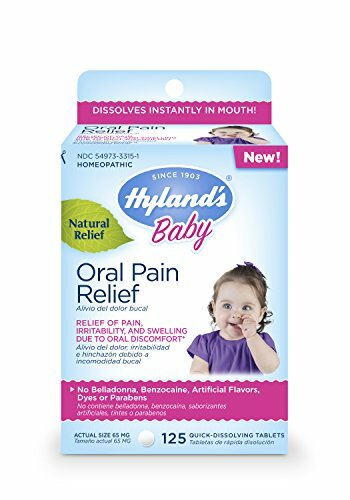 Hylands is a trusted name in baby care products, and these tablets should be in every mom’s cupboard for the incredible relief that they provide in no time. No child should have to suffer during their teething years, and Hylands tablets go the extra mile to make sure your baby is comfortable. 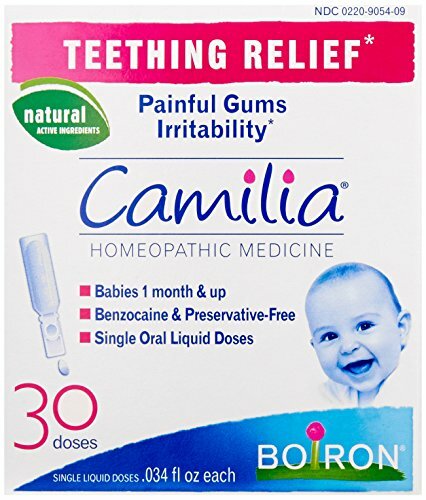 When painful gums and irritability are plaguing your baby, Boiron Camilia teething relief can help with the irritability and discomfort. Boiron is known for being one of the best brands of homeopathic relief on the market, and their medicines are sold over the counter, effective, and completely free from side effects. That’s because homeopathic medicine works with the body instead of fighting the body. The Camilia teething relief drops are easy to drop onto your child’s gums without any fussiness. The drops help to calm the child down, and some moms even report that it helps to settle the child’s tummy at the same time. As we all know, it’s difficult for a child to eat when their gums are hurting, so the Camilia drops help to add relief to the gums, so it’s easier for your child to eat more food. One of the main ingredients here is German Chamomile, which is famous for its ability to soothe and calm inflammation. It’s incredibly smart to buy a blanket that your child can chew on, cause lets face it, they’re going to do it anyhow. 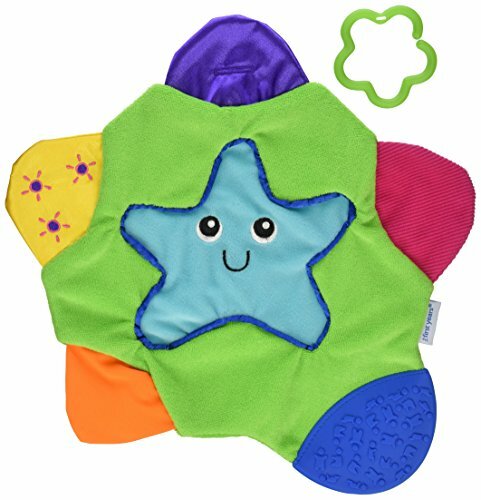 The Star Teething Blanket has a number of teething surfaces on its soft terry cloth surface, and the crinkly satin offers particular relief. The blanket is nice and lightweight, and easy for baby’s little hands to grasp. There’s even a little squeaker at one of the points that creates a fun sound that kids just love. The blanket provides endless variety and entertainment because there are so many different fun textures to explore and chew on. The plastic ring makes it easy to attach the blanket to bouncers and baby bibs, keeping it from being tossed aside accidentally. It’s easy to wash, and putting it in the machine doesn’t damage the squeak toy. The price definitely makes it worth it at the end of the day. This is a great blanket to have if you’re looking for relief for your child, and a whole lot of fun.